Halo used to the biggest thing in multiplayer Xbox gaming. It's still a big deal, but for the last half-decade, Call of Duty has been the Xbox's main event. At E3 this year, new Microsoft-owned development studio 343 Industries is making an interactive case that Halo is ready for top status again. They're not saying they're going after Call of Duty nor, as you'll see in my video interview here with 343's David Ellis, are they willing to articulate just why it is that Halo has slid some—and why, other than trying to make the best Halo ever, it can be a huge deal again. Developer hype just might not be necessary for Halo 4, because the game itself is making a good case at E3. The new competitive mode called Infinity Slayer combines some of the points-based multiplayer combat seen in some PC shooters and Call of Duty and combines it with the shoot-grenade-melee-equipment flow of recent Halo games. It plays well, as our Tina Amini attested. At E3, 343 is also showing a chapters for the game's co-op Spartan Ops mode, which will dole out five new 15-20 minute chapters for free each week for "months", all of them tied to weekly short Spartan Ops shows. (It's an ambitious plan, as Tina reported in greater detail earlier this week). The chapter that was running last night at Microsoft's big Halo 4 party played well, and looked extraordinary. Graphically, Halo has yet to look this good even on the Xbox 360. The lighting stands out. Take a closer look at that lovely-looking Halo 4 Spartan Ops chapter in the clip here. 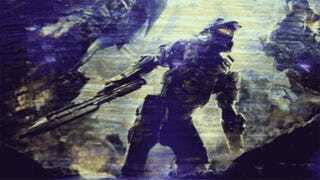 Halo 4 will be released for the Xbox 360 on November 6.